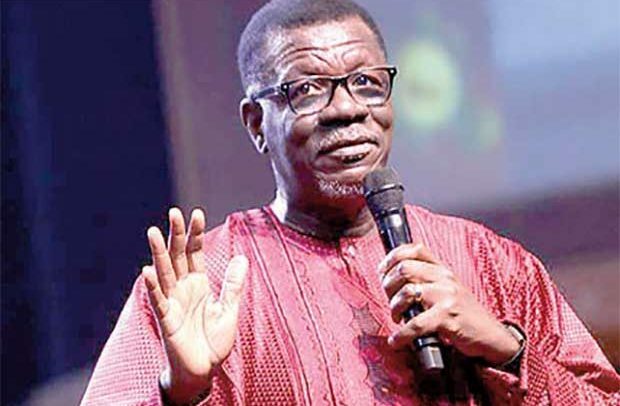 General Overseer of the International General Gospel Church (ICGC), Pastor Mensa Otabil has denied claims he benefited from loans and acted fraudulently as former board chairman of the defunct Capital Bank. According to Pastor Otabil, the debt of a total of GH?482 million found on the books of the now-defunct Capital Bank did not result from the negligence of the directors. The joint receivers of the defunct bank are seeking to recover a total sum of GH?748 million from shareholders of the bank. Mensa Otabil and his church ICGC are among 15 shareholders and directors of Capital Bank who have been sued over the collapse of the bank in 2017. The Plaintiffs, Messrs Vish Ashiagbor and Eric Nana Nipah from PricewaterhouseCoopers, said the bank’s collapse was a “direct result of defendants’” “misgovernance” and “willful” breaches of banking regulations. Pastor Otabil responded in a statement that, during his non-executive role as a Board Chairman of the bank, some decisions that were made turned out well while some did not turn out as well as had been anticipated. “As far as I can tell, everything was done with the best of intentions and the interest of various stakeholders in mind,” he had said. Pastor Otabil in his defence filed at the court says, neither did the board he chaired make any misrepresentation to the Bank of Ghana as regards the payment of the minimum capital required for the granting of the requisite banking license, he added. Pastor Otabil explained it was the direct result of the plaintiff who identified various outstanding or impaired legacy assets traceable to the microfinance days of the First Capital Plus Foundation which later became a bank. He said it was these legacy assets that threatened the health of the Capital Bank. He said they informed the central bank of these non-performing assets. They also notified the bank of a resolution by the shareholders to accept responsibility for the ?482 million cedi debt which they resolved to pay back within five years using their dividends. The shareholders it is argued, placed their shares on the line so the bank could have a clean bill of health. Perhaps the most stinging allegation against Dr. Otabil both in the controversial boulders report and the suit is that he supervised the irregular transfer of GH?130 million from the central bank’s liquidity support through All Time Capital to a related company of the founder of capital bank, William Ato Essien. It is alleged that at a board meeting, management objected to the transfer but pastor Otabil overruled them and guaranteed that the money will be repaid. In his defense however, Dr. Otabil disputes (1.) the amount in question. (2.) the claim of a board meeting and (3.) the claim that he guaranteed that the money will be repaid. He says the amount in question was GH?120 million and not GH?130 million. He said there was never a board meeting. He said the then Chief Executive and some other management members met him alone at an informal meeting and raised apprehensions that the investment that had been made may not be redeemed. He said he asked them to “take all necessary steps to ensure that the investments were fully recovered”. He argued that the transfer had long been done by management before it came to his attention. The alleged minutes produced as evidence of the supposed board meeting he indicated, was an “ex post facto rationalisation of events calculated to create the false impression that he was consulted and/or his approval sought and obtained prior to the undertaking of the investment”. The former Chief Executive of the bank, Rev Fitzgerald Odonkor had also alleged in the Boulders report that his signature had been forged in transferring the funds. He had produced an email he sent to Dr. Otabil which was reproduced in the boulders report to show that he complained about the forgery and that he knew nothing about the deal. JOY NEWS has seen the email in question. It is dated December 14, 2017, four months after the bank had collapsed in August. Considering that the deal was done in 2015 and the money transferred in two tranches that same year, could Rev Fitzgerald had claimed that he did not know about the transfer as Chief Executive until after the collapse of the bank? The receivers had also alleged in their suit that nothing of the GH?130 million transferred through All Time Capital had been repaid. But in his defense Dr. Otabil claims that as at the time the central bank took over Capital Bank, GH?84.2 million of the amount had been repaid.